The Springs in Fall, 2015 Photos #1: Intro to Aerodynamics « Midlife Crisis Crossover! 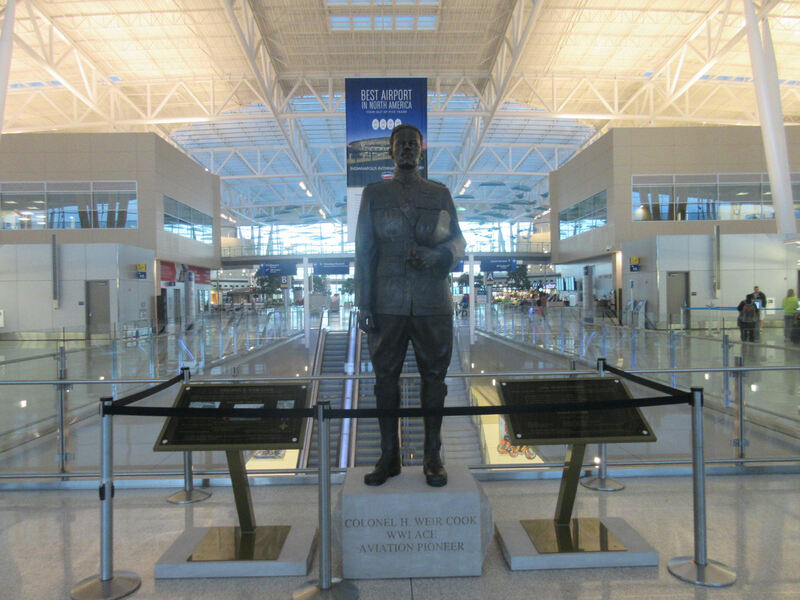 Our Indianapolis International Airport welcome committee: WWI flying ace Harvey Weir Cook, who flew for the Army Signal Corps with seven victories to his credit, then later for the newly invented transcontinental airmail service. He was a colonel when he died in 1943 while training other men to be just like him. The terminal and major airport thoroughfares are named after him. Each year my wife and I take a road trip to a different part of the United States and see what sorts of historical landmarks, natural wonders, man-made oddities, unexplored restaurants, and cautionary tales await us. We began the tradition in 1999 during our best-friend years as an excuse to attend geek conventions and fan gatherings outside Indianapolis. After four years of narrowly focused hijinks, the tradition evolved through our happily married years into an ongoing project to visit as many other states as possible, see what they have that we don’t, and filter the results through our peculiar sensibilities. Previously on Midlife Crisis Crossover, I posted one photo for each of the six days while we were on location. With this series, we delve into selections from the 500+ other photos we took along the way. Our first flight was scheduled at 9:05 EST. Daylight savings ended the previous evening, so we benefited from a bonus hour of sleep. 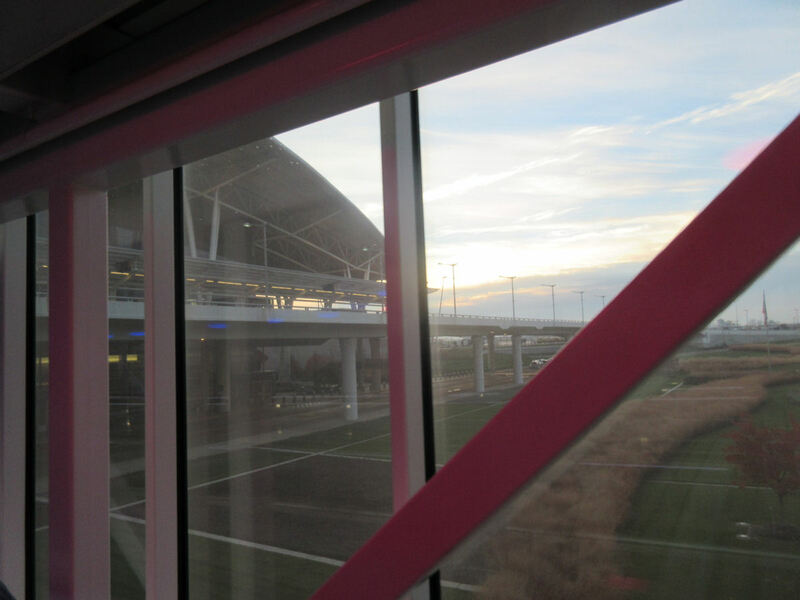 We arrived at Indianapolis International Airport shortly after 7 a.m., fully awake and not as frightened as we expected. Most of the grounds were virtually deserted, inside and out. The economy lot was many, many, many, many, many light years from the terminal. Thankfully the airport shuttles cruising up and down the rows are more frequent than our local city buses. I like to imagine the folks up in the control tower were waving and giving us a reassuring thumbs-up. 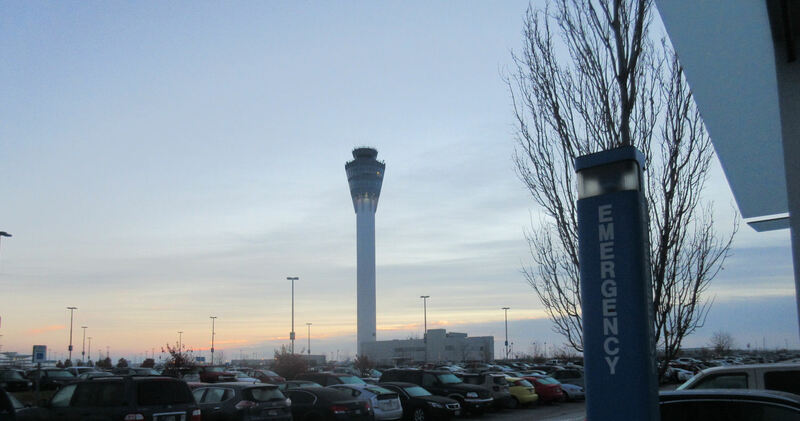 Once you’ve arrived at the airport, you haven’t actually arrived as much as you think you have. We parked in the economy lot, caught the shuttle, rode to the Ground Transportation Center, and escalated upstairs to the Pedestrian Bridge that would carry us across the street to the terminal itself. From the shuttle and on into Denver, we spent hours being contained inside buildings and vehicles. This was our best view of the terminal. 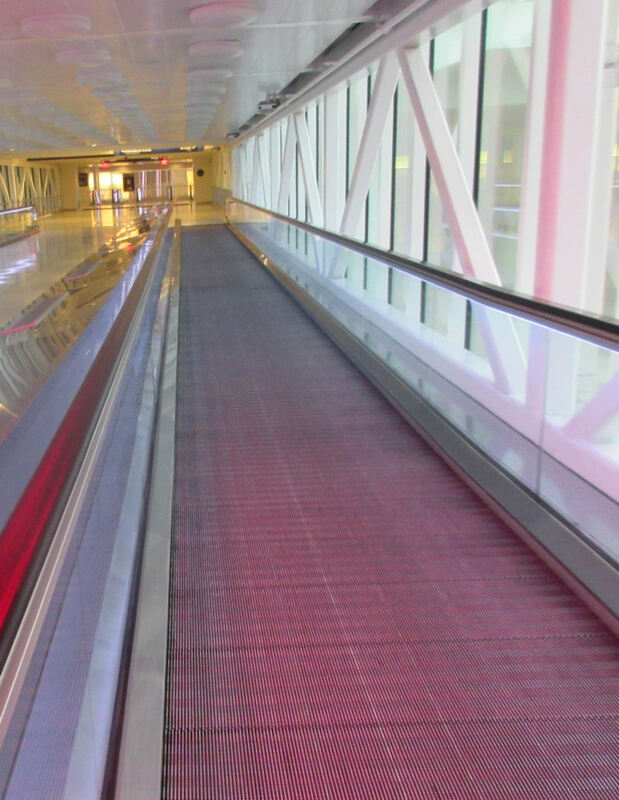 The bridge also contained our first airport moving walkway, just like in the movies except with fewer characters in our way. The ceiling lights blink as you go, and of course shut off as soon as I snapped the pic. The Pedestrian Bridge leads to the front of the terminal, which comprises all the airline ticket counters, where we didn’t have to stop because I’d already printed our boarding passes at home the night before, and because we had no baggage to check. We were determined to keep all our possessions in sight and reach, and packed accordingly. We fit everything into one (1) carry-on suitcase for each of us (both below the 10x16x24 limits imposed by Southwest Airlines), a drawstring bag for her, and my treasured Gene Siskel Film Center laptop bag. I read the online guidelines for the TSA, for IND, and for Southwest over and over and over again to ensure we knew all possible expectations well enough to minimize our stops and facilitate legal compliance without delays or struggles. The ticket-counter area in turn leads to Civic Plaza, a circular all-access food/shopping court that connects IND’s two concourses. The place is one big shopping mall shaped like a tuning fork, with each concourse a prong on either side of the fork. We stopped for two minutes because Anne found a smashed-penny machine inside an Indy 500-themed gift shop and those are absolutely mandatory souvenirs whenever possible. …okay, look: we realize we’re white and have pretty bland profiles. This was an early Sunday morning. It’s Indianapolis. And they were well staffed. This part of the post-9/11 airline process that everyone complains about, has a million punchlines to toss out, and which for many would-be travelers has definitely not been a pleasant experience…for us, the TSA line took maybe 5-10 minutes out of our lives, tops. we could’ve saved an extra thirty seconds if Anne hadn’t absentmindedly tried to bring an open bottled water with her, but once reprimanded, she quickly disposed of the remaining 80% and no one had to draw a weapon. Yes, some of the instructions and the restrictions and especially the dress code are weird. But obedience begat simplicity. I can name fifteen or twenty convention autograph lines that were far more taxing and stressful for us. (Anyone wanna hear our exasperating Carrie Fisher story again? Show of hands?) Once they granted permission to proceed, we counted our blessings and didn’t look back. Southwest Airlines occupies the far end of Concourse B, the left-hand prong. We grabbed breakfast on the way at Shapiro’s Deli, a local business that makes a mean bagel. I’d been looking forward to that part since September and wasn’t disappointed. We then reached the Southwest gates about fifteen minutes before boarding time, over an hour since we’d left the car. 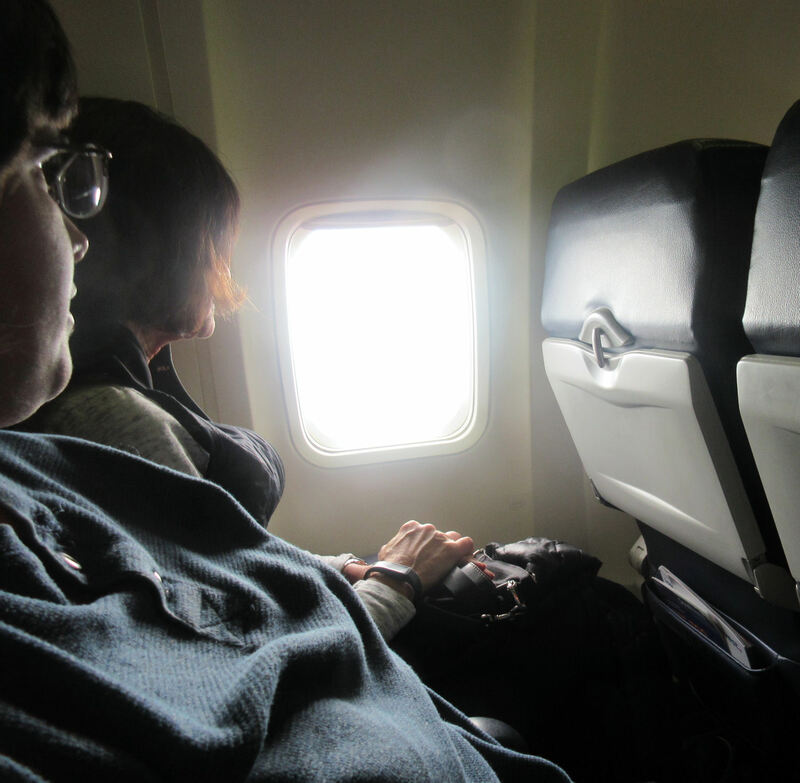 Already we’d had a long trip and we hadn’t even left the ground or the city. A modest simulation of your upcoming trip. Results and foot room may vary. 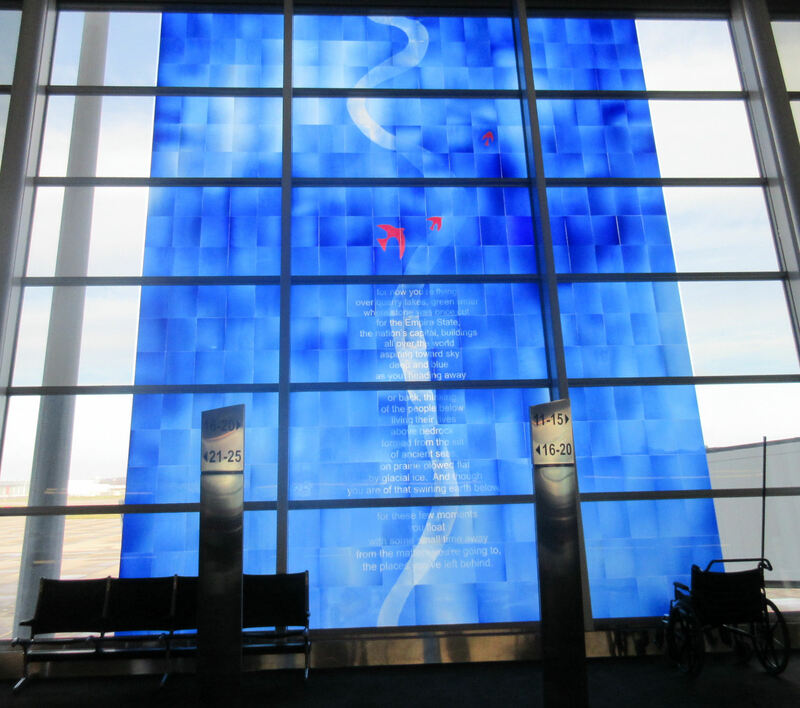 One of several art pieces installed around the airport. One of the prettiest we saw, near the Southwest gates, was British artist Martin Donlin’s “Indiana Flight”, which contains a same-named poem by Joseph Heithaus, Ph.D., a professor at DePauw. We were among the last to board, preceded by a couple dozen Colorado teens representing for Future Farmers of America. 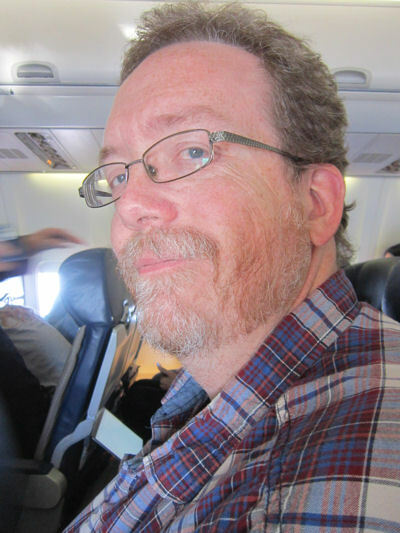 But the important thing is we boarded successfully — no being bumped due to overselling, and no sudden panic attacks. Per common knowledge, the seats were cramped and the opposite of luxurious, but they were ours. Your humble author, feeling fine thanks to a well-timed dose of Dramamine. The humble wife, whose above-average job performance made this special day possible. She took her Dramamine before I did. I had the aisle seat and consequently have no cool window images to share. Meet the silent stranger who sat with us and read the morning paper as a means of signaling to anyone who asked that she was indeed alive. The crew kept it light, breezy, and frequently funny. Clearly these were attendants who were well rested and probably manning their first flight of the day. At 9:05 sharp we rolled away from the gate, wheeled over to our assigned runway, put pedal to the metal and took off. I’ll admit the roaring of the engines was intimidating till I got used to it. The first few moments of liftoff gave me the same sensation of dread that makes amusement-park deathtraps not so fun for me anymore. After about twenty minutes, we leveled off at 10,000 feet and the rest of the trip felt like your average city bus ride, except with occasional minor turbulence instead of potholes. And we didn’t have our first crying infant till 9:24, but the wee one was easily calmed and noise ceased to be an issue for the rest of our flight. And no bus driver ever brought me free soft drinks or snacks, I’ll tell you what. For the next two hours, I had everything I needed to get by. I also remembered to bring reading material. 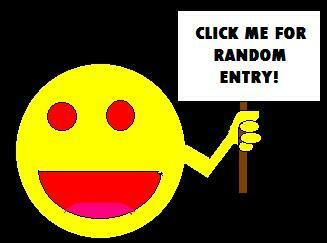 I was forewarned about the boredom. 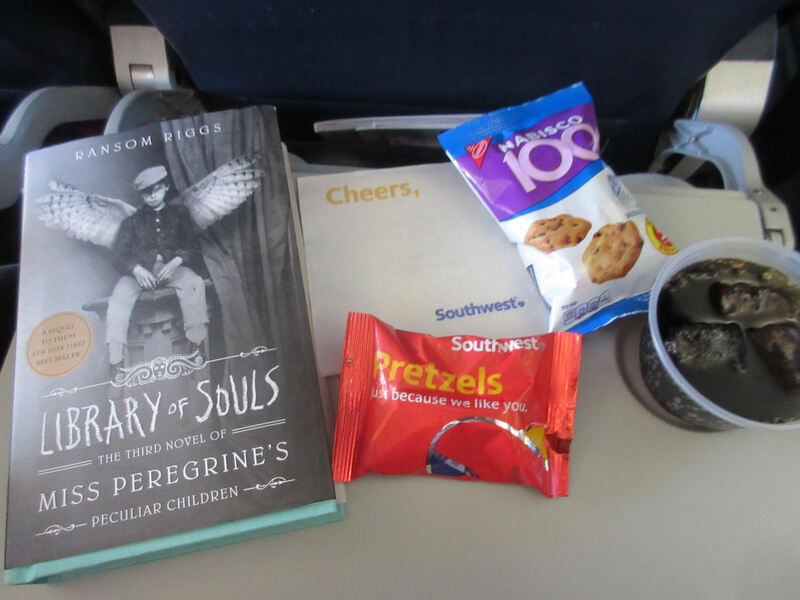 I’d like to call it apropos to bring a book costarring a lady who turns into a flying creature on our very first flight, but she doesn’t show up till page 321 and kinda ruins the potential poetry of the moment. We arrived at Denver International Airport shortly after 11:30 EST, now 9:30 Mountain Standard Time. Their airport is much larger than ours, reportedly costing billions to build a terminal and three concourses in the shape of an artificial Christmas tree without the twigs and branches attached. 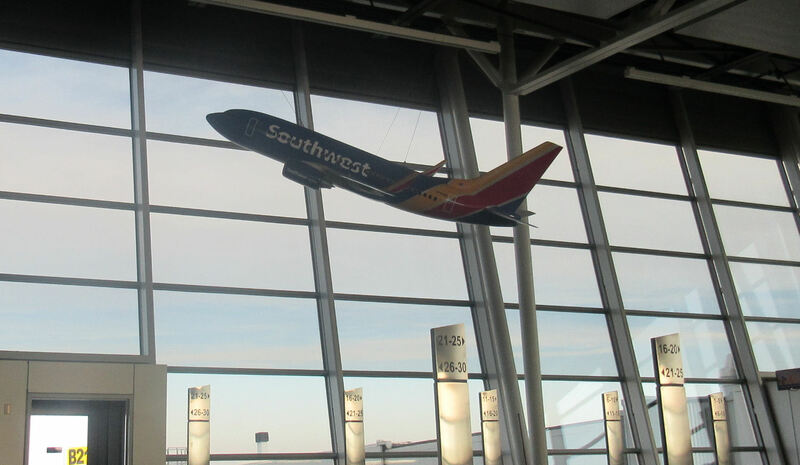 Southwest occupies the east end of Concourse C, which is a parsec or two from the terminal. Thankfully there’s a free light-rail that runs between all four sections and eliminates several blocks of walking. Their model plane is, of course, larger than ours. Their baggage conveyors were deserted and irrelevant to us. Sure, packing so lightly meant we had to do laundry at the hotel later in the week, but at least we didn’t lose any possessions. 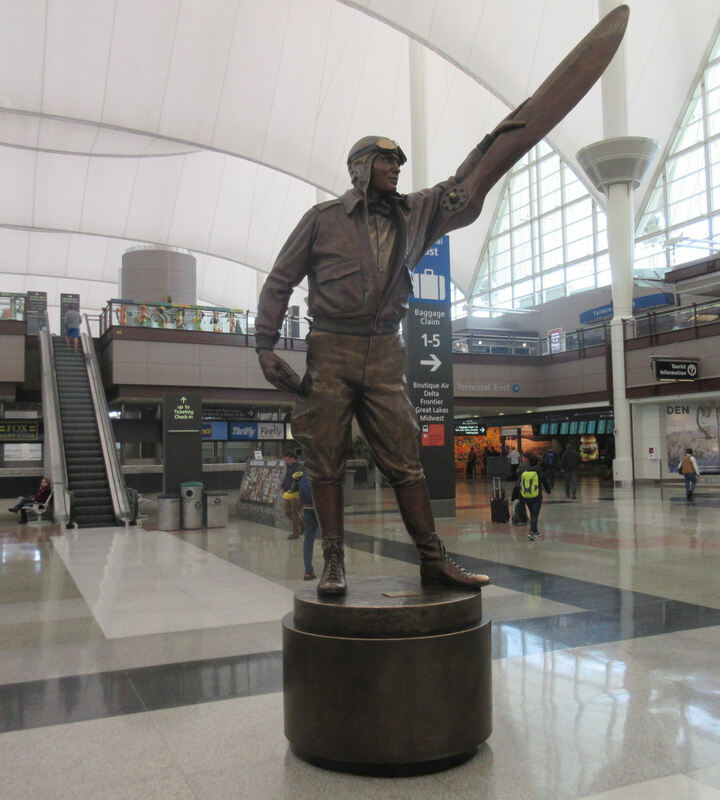 Greeting us was their terminal’s namesake, aerial performer and fellow airmail pilot Elrey Jeppesen, who made vital contributions in the area of flight manuals and charts. He passed away in 1996 at age 89. For those who keep track of such things, Colorado Springs has its own airport, but IND offers no direct flights. 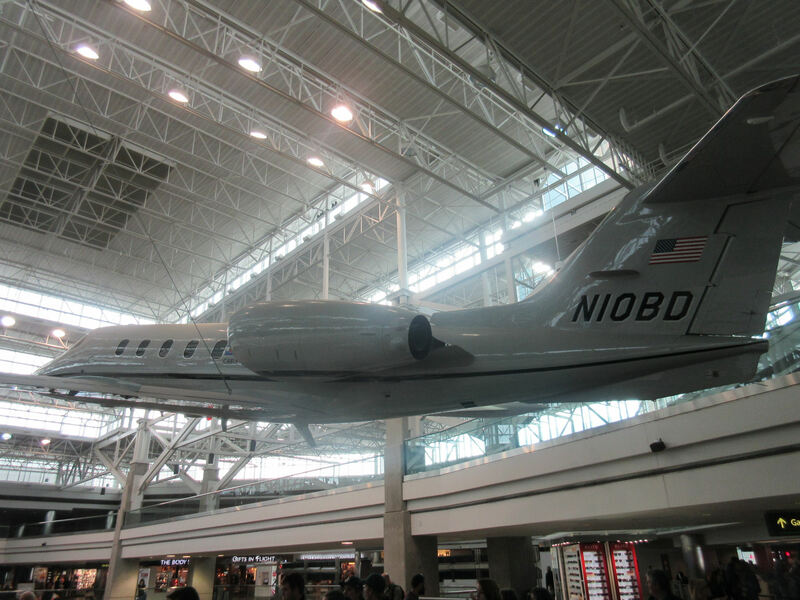 If we insisted on targeting their airport, our layover choices were either Chicago, about which we’ve heard nothing encouraging, or Atlanta, which turns a 2½-hour trip into an eight-hour travel marathon. 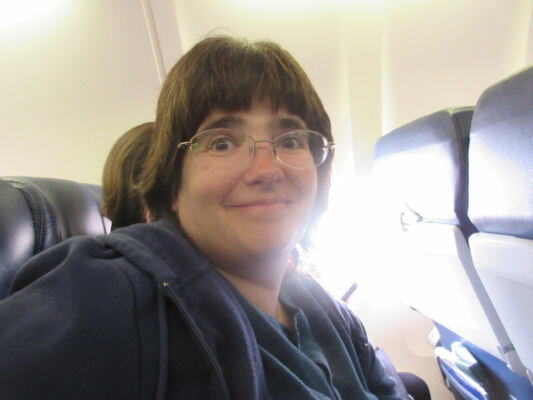 At her supervisor’s suggestion we instead flew into DEN, rode the shuttle out to their Enterprise hub, rented a car on her company’s dime, and took back control of our steering. The drive from Denver to Colorado Springs is 60-70 minutes on a good day. But first, we decided our trip needed a road trip in it.